for 12, 24 kV highest voltage for equipment. a, b, c, d – dimensional markings, depending on the accuracy class, output and the rated primary current. The current transformers type ARM-10a,b,c, ARM-20a,b,c are produced for 300–2000 A, and the types ARM-10d, ARM-20d for 2000–4000 A rated currents. 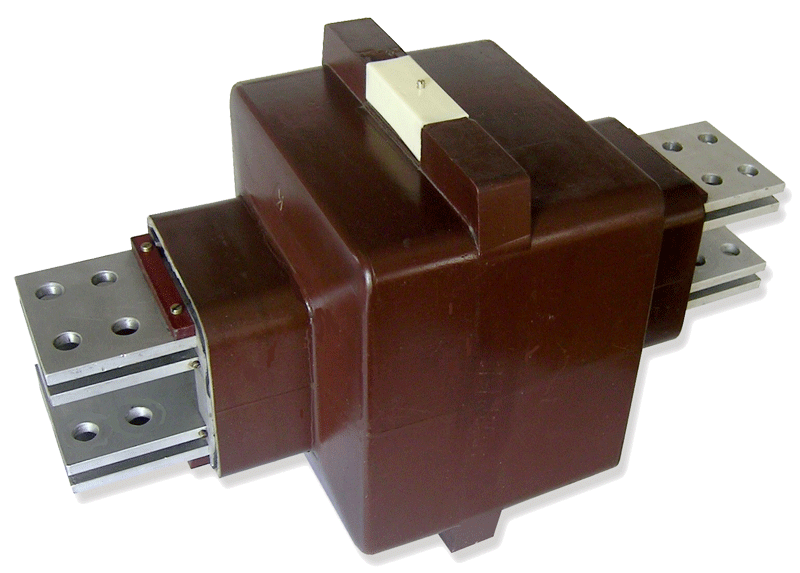 The current transformers comply with the specifications of MSZ EN 60044-1 and EN 60044-1 standards. It is also possible to produce according to other standards, differing from the afore-mentioned. The current transformers produced in serial production, can be applied indoor under moderate climate condition (N), but on request can be produced in finish suitable for tropical use too. These types are produced in single, double and triple core, synthetic resin insulated, bushing type (in case of types ARM-10d, ARM-20d bushing/bar type) design. The material of the primary and secondary windings is copper, except the types ARM-10d, ARM-20d where the primary is aluminium bar. The primary terminal is flat copper or aluminium bar, the secondary winding is connected to threaded blocks embedded in the synthetic resin body. The secondary terminal can be closed and sealed by means of a plastic cover. The connecting wires can be lead to the terminals through a PM16 gland (on types ARM-10d, ARM-20d through an opening located beside the plastic cover). The gland can be screwed in either on the left or on the right side depending on the requirement. The hole on the side without gland is closed with a screw plug. Upon request the current transformers can be manufactured with secondary changeover too (e.g. : ARM-20b 1000–2000/5 A, 15 VA, Accuracy class 0.5, Fs5–10 or in case of a protective core 5P10–5P20). In case of a long-term storage, it is practical, to keep the current transformer indoor, in a covered, well ventilated room (storage temperature: +5 °C, +40 °C). 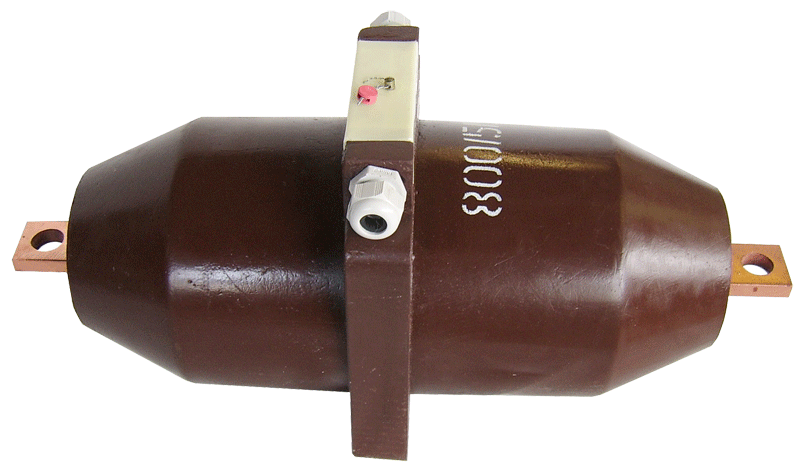 The synthetic resin insulated bar type current transformers – except the types ARM-10d, ARM-20d – can be mounted in any position. The size of the necessary cut out at the site of the passage can be found on the figure placed beside the outline drawing. The wall thickness at the site of the passage cannot be more than it is given in the technical table, otherwise the arcing distance decreases under the permitted value. In case of a larger wall thickness the size of the cut out is to be chosen so, that the arcing distance given in the technical table all over could be kept. The secondary wires are to be arranged so that the arcing distance must not be decreased by them. One point of the secondary windings has to be earthed (system earthing). We suggest the use of rubber washers at fastening of the current transformer. When connecting the primary busbar, care should be taken in order, that the end of the busbar does not near to the synthetic resin body less than 5 mm. At types ARM-10d, ARM-20d, in case of a slipover design depending on the size and arrangement of the connecting busbar, a busbar arranging block belongs to the current transformers. The busbars can be centralized by this block. The current transformer and the busbar arranging block are to fasten by means of 2–2 clamp plates. The clamp plate is to be mounted on the busbar so that it should be stretched tightly to the busbar arranging block. The clamp plate can be fastened either by means of thread cut into the busbar or with bolt and nut. Application of iron components at 4000 A primary current, causes harmful overheating. – periodical tightening of the fastening screws. The secondary windings of the current transformers in class 0.5 are manufactured in finish suitable for verification. The verification will be made only on special request, in this case it will be accomplished and documented by an official seal or an affixed verification stamp, by the National Office for Measures.